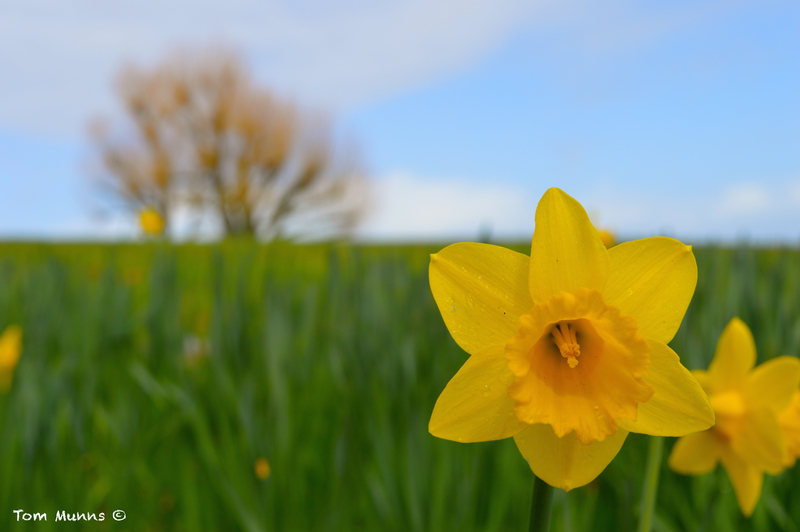 After a wet and windy week when gusts topped 61mph, this easter weekend will be much more settled, with lighter winds, drier and brighter weather. This is all due to higher pressure moving from the North over the UK from Friday evening. Good Friday will be a fairly wet start but it should become drier through the day. The odd sunny spell is possible but it will mainly stay cloudy. The maximum temperature will be 9C. The rest of the Easter weekend should be mainly dry with clear skies. With light winds it should feel a little milder than of late with temperatures around 13C. There won’t be much change in the weather, the much more bearable but cloudy/bright theme will continue into Easter Monday. Laura Young of the Met Office said: “There may be some sunny breaks during the weekend, but the main thing is it’s going to be mostly dry. On 31 March 2013, temperatures dropped to -12.5 °C in Braemer in the Scottish Highlands making it the coldest Easter. On Easter Sunday, the 14 April 1963, more than 148mm of rain was recorded at Oakeley Quarry, near Blaenau Ffestiniog in Gwynnedd. Easter 1-3 April 1983 was the snowiest Easter with Scotland, the Midlands and Kent getting up to 10 cm of snow.